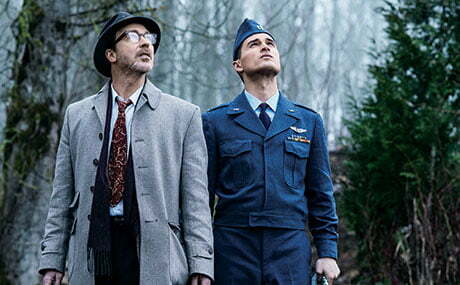 US cablenet History has renewed its latest factual drama, Project Blue Book, for a 10-part second season. Produced by A+E Studios in association with Compari Entertainment, the series is based on the US Air Force’s top-secret investigations into unidentified flying objects in the 1950s and 1960s. It is executive produced by Oscar-winning director Robert Zemeckis (Back to the Future). Aidan Gillen (Game of Thrones) stars as Dr J Allen Hynek, a college professor recruited to spearhead the operation who starts to believe he is part of a conspiracy as the unsolved cases start to stack up. The show is the latest fact-based scripted series to enjoy success on A+E networks-owned History following Vikings and Knightfall. The latter is about to enter its second season, with Star Wars actor Mark Hamill joining the cast of the Knights Templar-focused drama. A+E holds international distribution rights to Project Blue Book and last week secured a deal for the first season to air on Syfy in the UK.